Everyone has their own ideas about how they would like to see cannabis treated outside of prohibition. Some want strict regulation whilst others are offended by the proposal suggesting that cannabis should be treated like any other house plant. To be blunt though, there are problems with doing both but it is possible to strike a balance that in many ways keeps the majority of people catered for and happy. There are however many things that consumers and opposers to forms of legalisation or decriminalisation can agree on. Around the world we have examples of different levels of qwasi legalisation (for some such as in medical states in America) or decriminalised access to cannabis (such as in the Dutch coffeeshops). Even the Netherlands have different areas with levels of tolerance for personal possession, but when it come’s to regulating the product sold by the coffeeshops there is none! 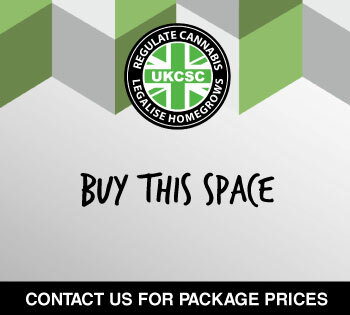 In the UK we have seen the birth of a grassroots industry that has taken cannabis out of the shadows and brought a more respectable understanding of the products available for consumers allowing them to make better informed decisions on what they get, as well as trying to provide producers with a set of basic principals and must do’s before vending to members in CSC’s. This is all in the interest of safety. This is part of an international standards improvement campaign including Canada, Spain and the UK with aims to reach many more self regulated Cannabis Social Club countries for greater consimer awareness and protection. Producers will be able to apply for approval later in 2018. While coffeeshops are able to operate they can only have a certain amount of cannabis (500g) on site at any one time. Despite this tolerance agreement with the justice department there is no legal way to supply a coffeeshop. This means that they have several options; they can either produce the cannabis illegally themselves or they can get someone to do it for them. This pushes the price up due to the extra risk factor. Another option is to buy in bulk from commercial cash croppers that usually grow their crop on a huge industrial scale and usually in another country. This again pushes the price up as there is travelling involved along with another added risk on top. Yes, believe it or not, the coffeeshop still have to pay tax on this produce! Like it just magically appears. The problem with this is there is no quality control during production or transport. Coffeeshops have to be happy with the product delivered because there is relatively little choice of where to get this kind of product from, nor any kind of trading standards to complain to where you can get a resolve if there is a problem such as early harvest, unflushed, mould or insects. If consumers have nothing regulated to compare it to, they may not know there is even an issue. Dutch residents are able to grow up to 5 plants at home without the use of artificial lighting or grow equipment. If the police get a complaint they will still respond and could confiscate the plants and arrest the grower. This is toleration, not quite effectively a decriminalisation and it doesn’t provide the grower with a very good quality end product – or something sustainable year round. This is not to say people don’t grow indoors with equipment still, they do and you can find samples of this at some of the less commercial coffeeshops. In 2000 Colorado became yet another state to implement a Medical Marijuana program voted for by the people through a ballot measure (now 18 states and Washington DC). They very quickly became the leading edge in terms of the way states were dealing with and regulating the emerging industry and in 2013 became the first state in the USA to vote to regulate recreational cannabis production and sales (Amendment 64) to over 21’s. Where other states like Oregon and California run not for profit medical programs for patients Colorado decided to introduce for profit meaning they could implement taxes on the sales of cannabis to patients with a Red Card (a Drs recommendation).Allowing patients with certain medical conditions to be exempt from the law with the right documents was one step, but where were patients going to get their cannabis from? It would still have to be an illegal source, this was a move that lead to the introduction of patients being allowed to home grow a small number of plants mature and immature. Some patients however are unable to grow through lack of skill, time, space or physical ability. This lead to the legislation of commercial size grows basing the number of plants on the number of patients it catered for. Medical Marijuana Centre’s (MMC’s) – known more commonly as dispensaries – were then the next logical step allowing patients to access their medicine from authorised cannabis outlets. Previously you would just have to hold an in date Red Card to work in one but in 2011 the CO state Government introduced legislation that required employees to qualify for a workers permit. To go further than this Colorado state law makers allow producers to trade 20% of their product with other MMCs which helps encourage the growth of the industry and allows MMCs to obtain medicine if their crop falls short due to a mistake or underproduction without being caught in a grey area if they had to pick up some from somewhere else. It also avoids MMC’s having to deal with non-authorised producers. Cannabis testing labs are becoming more common providing even more information about the medicine that is being produced and consumed. Because both the sale and the production of cannabis are regulated in a way that it can be accounted for through a “seed to sale” CCTV and RFID tracking ssytem there is no need for the police or state Government to intervene. Colorado took 12 years to go from basic state medical laws to becoming the first place in the world to fully legalise their cannabis industry. This was a step by step process and it is still developing all the time. Any one of this age will be able to lawfully grow up to 6 mature and 6 immature plants at a time and possession is no longer a crime. The first country to decriminalise possession of cannabis and all drugs was Portugal. They decided while in an economically unstable climate that it was costing too much money to criminalise people who use cannabis and other drugs. They switched over to treating drug use and misuse as a health issue rather than a criminal problem. The offender is scheduled to meet a GP, A Psychiatrist and a Drug Worker for assessment. The result of this is that anyone caught with less than 25 grams of cannabis flowers (considered a 10 day supply) in most areas would be spared arrest and a criminal record. Those caught multiple times or with more than the decriminalised amount will still be arrested and treated as if they have intent to supply. The problem with this kind of decriminalisation is quite obvious to anyone involved with cannabis. If you are caught you will have your cannabis confiscated. There is no legal supply or way to purchase it. 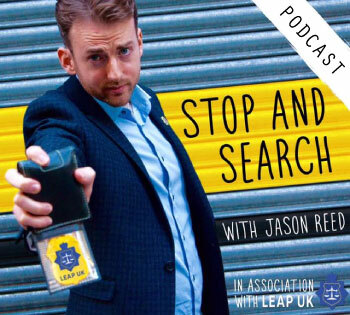 If someone is found with cannabis in their possession a certain number of times they are then regarded as though they themselves have a ‘drug problem’ and need help being rehabilitated. The problem lies in that some people use or require more cannabis than others especially for medicinal needs and are going to make sure they keep enough on them or at their home to meet those requirements. Those who use cannabis recreationally should not be regarded as though they are addicts or have a health problem because of their choice – many consume consciously in favour over other drugs that are more harmful or simply because they enjoy cannabis, but that is not the way it is seen by the state. To many, it has no negative impact or impairment on them. This decriminalisation does not remove the negative stigma given to cannabis consumers and may even go so far as reinforcing that it is a public health problem. This plays into the hands of the Pharmaceutical industry and the rehabilitation centres that will profit from the Government funding to reform non-dependent and non-problematic cannabis consumers. 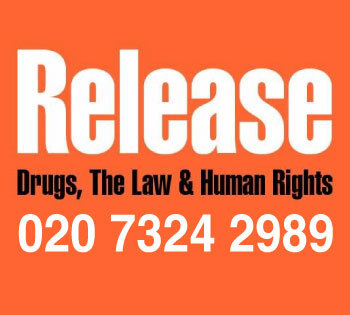 This also plays into the favour of the rehabilitation centers who will be making money of off cannabis consumer being sent there because it is a much more preferable option than prison if you dont go. However the biggest problem that decriminalisation leaves behind is the illicit production and supply of cannabis, which, just as under prohibition, is still left to those that are willing to take the risk, ask for the price and get it. It is still largely produced by gangs, which means that profits are continuing to be fed into an organised criminal network that usually has international connections involved in harder drugs, weapons dealing and acts of violence and torture.